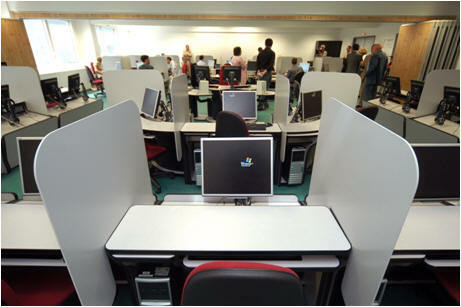 The LESSAC(Laboratory for Experimentation in Social Sciences and Behavioral Analysis) was created in May 2008 at the Burgundy School of Business and is the experimental laboratory of the CEREN EA 7477 (Centre de Recherche sur les Entreprises). The LESSAC is now an interdisciplinary platform dedicated to the investigation of decision-making by the means of laboratory controlled experiments. The LESSAC centralizes the experimental economics activities of the Burgundy School of Business, in an effort to explore all of the dimensions of decision - making, in the context of economic, managerial, financial or social individual and group choices. The activities of the LESSAC cover research, teaching, science popularization and industrial transfer. The methods and data produced provide a quality response to the challenges of decision making in everyday life and inside companies. See our 10th anniversary video here! Inside the regional COMUE of the Univ. 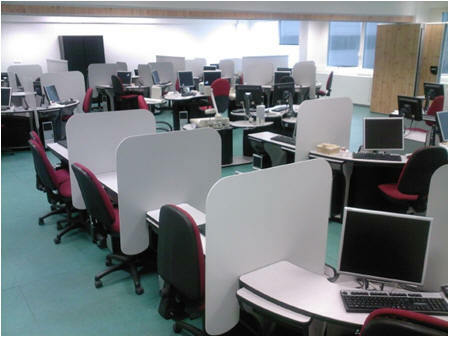 Bourgogne Franche-Comté (UBFC), the LESSAC developps strong research and pedagogical relations with the experimentalist's research group of the CRESE in Besançon and is involved in the I-Site excellence project. At the national level, the LESSAC is an institutional member of the French Association for Experimental Economics (ASFEE). The LESSAC core members and collaborators validate all their designs (lab, field, classrooms) inside a Scientific Committee and an Ethics Committee. 1. By analyzing how people adapt their empirical strategies in the presence of substitutabilities/complementarities anticipated actions from otherindividuals, our work has an academic objective, i.e. to bring interesting insights for decision theory, game theory, psychology and microeconomic theory. 2. Our work should lead to dissemination through international peer reviewed publications in both specialized academic journals in economics, decision theory and management (experimental economics, game theory) and professional/generalist media. 3. One important goal of the LESSAC is a transfer one, by introducing experimental methos into pedagogy and teaching in undergraduate, graduate and executive education - an original transfer allowing to move beyond microeconomic analyses as to infer conclusions relevant for policymakers/managers aiming at better understanding/regulating decision making. One important activity in this sense is our science popularization activity. 4. This LESSAC has a methodological goal, i.e. to implement experimental methods as valid methods to investigate decision making and collect data and to widen the use of these unbiased methods among professionals and academics.